An adorable wedding chair cover or playful wedding chair sign is a simple detail that can add an extra-darling dash of fun to your wedding reception. Plus, they will look really great in your wedding photographs! 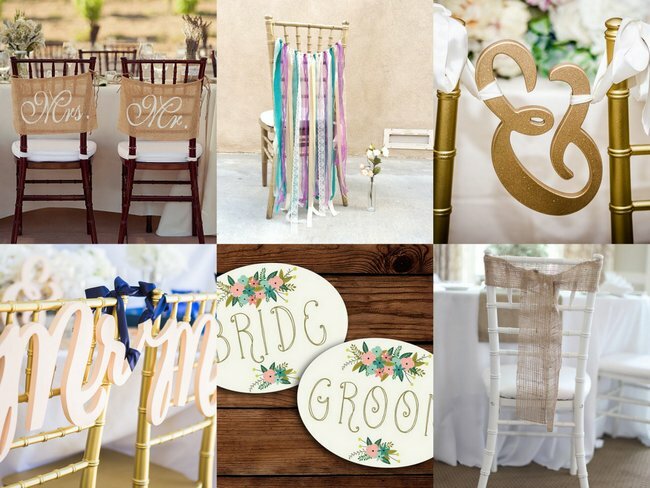 Whether you’re sitting at a bridal table with family and friends, or at a sweetheart table for two, you can pretty up your perch in no time with these totally darling wedding chair faves. 1. This gorge “Mr & Mrs” wedding chair sign set is cut from wood then painted in your choice of color to perfectly match your wedding theme. Grab it here from Z Create Designs. 2. 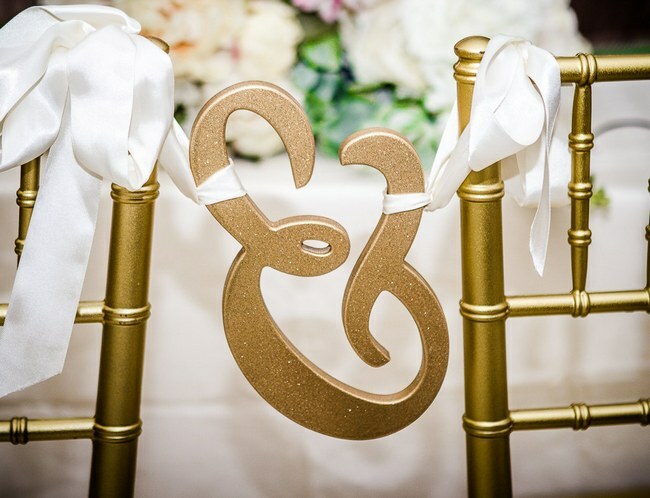 This fab glittering gold ampersand chair sign in a pretty script font (which can also double up as a photoprop) is carved in wood and then painted to match your wedding decor. Available from Z Create Designs. 3. 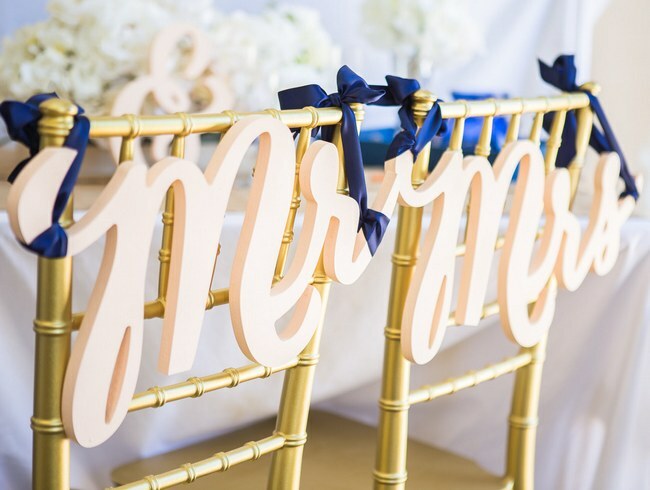 Just perfect for a nautical or seaside wedding, these super cute wedding chair signs are such a fun touch! 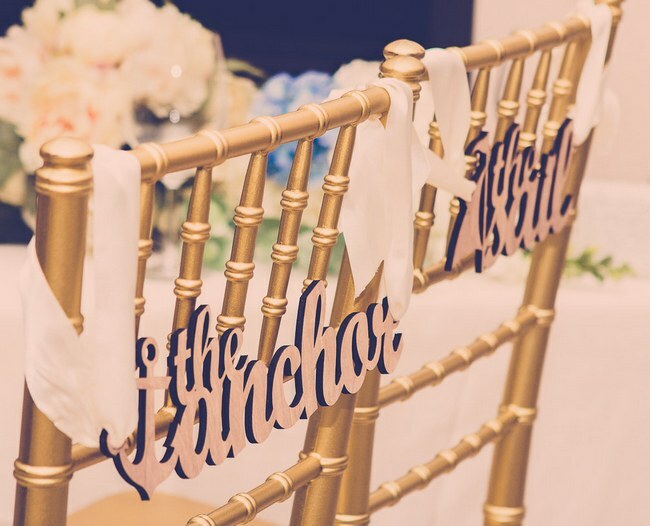 Grab these ‘The Anchor and The Sail’ wedding chair signs from Z Create Designs. 4. 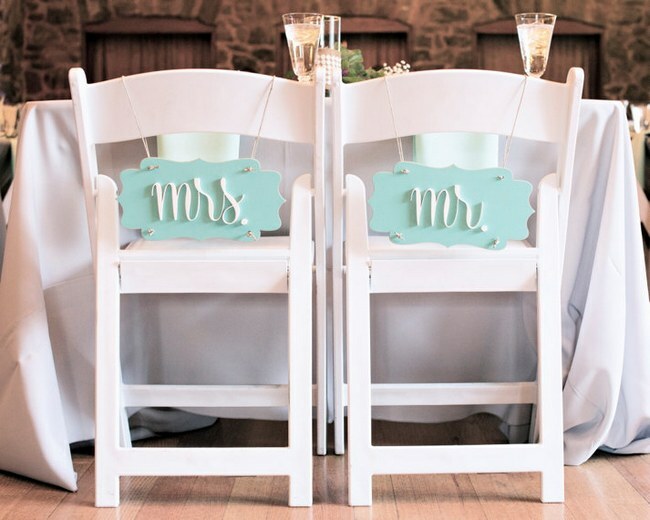 Another cute option for a seaside or nautical themed wedding are these darling mint and white Mr. and Mrs. chair signs. 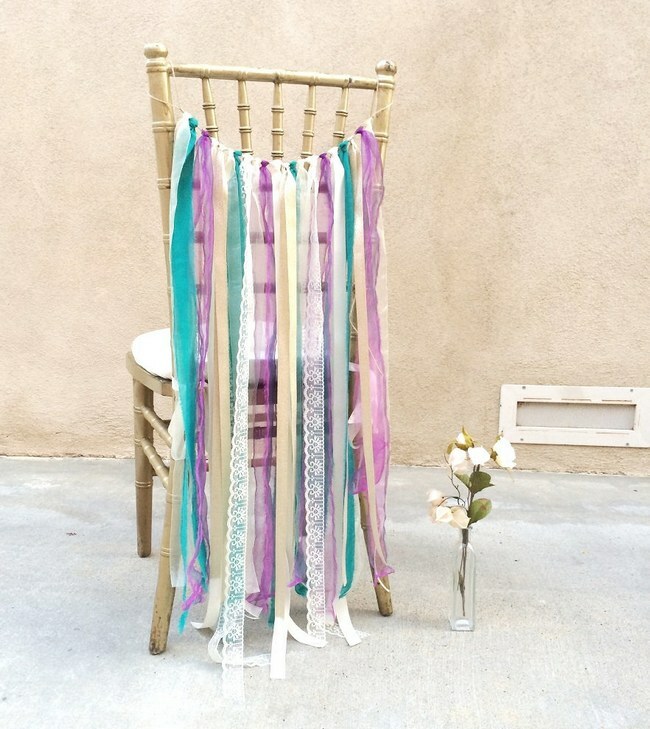 They’re also great for rustic chic or nature-inspired weddings! Created by Host and Toast Studio. 5. 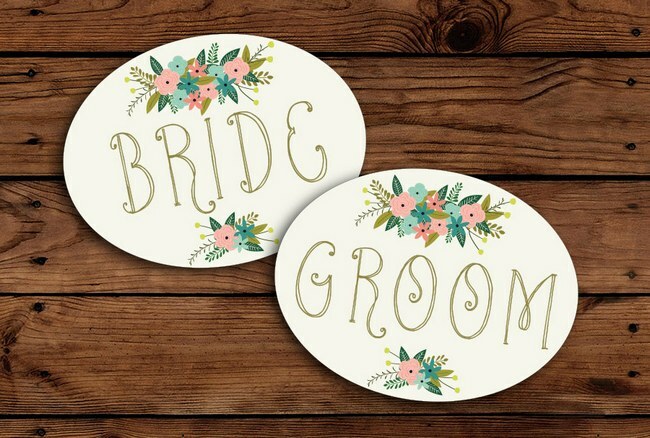 These sweet boho-chic printable Bride and Groom signs in peach, mint and turquoise give off a charming woodsy vibe and are a match made in heaven for the outdoor bride and groom! They’re part of an entire set of matching printable wedding decor which you can grab from the Remember November Shop. 6. 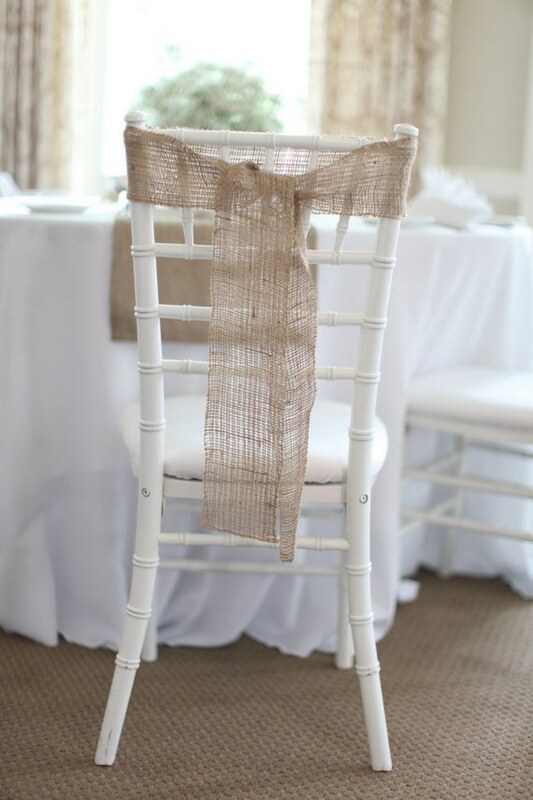 Sweet and simple, these hand-made burlap chair sashes with stitched detail are another cute option for a rustic-chic wedding. Love them? Get them from the Ruffled Daisy now. 7. One of the biggest wedding trends this year? Glitter and sequins! 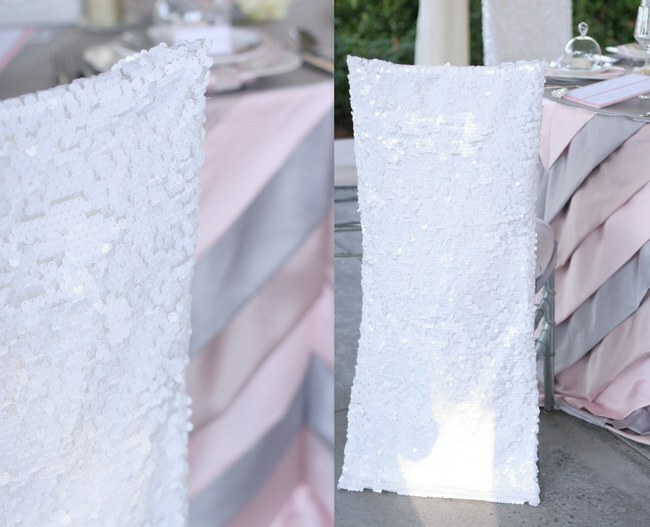 That’s why we adore the touch of bling these simple but stylish white sequinned chiavari chair covers bring to the table. Grab them from Tange Design. 8. 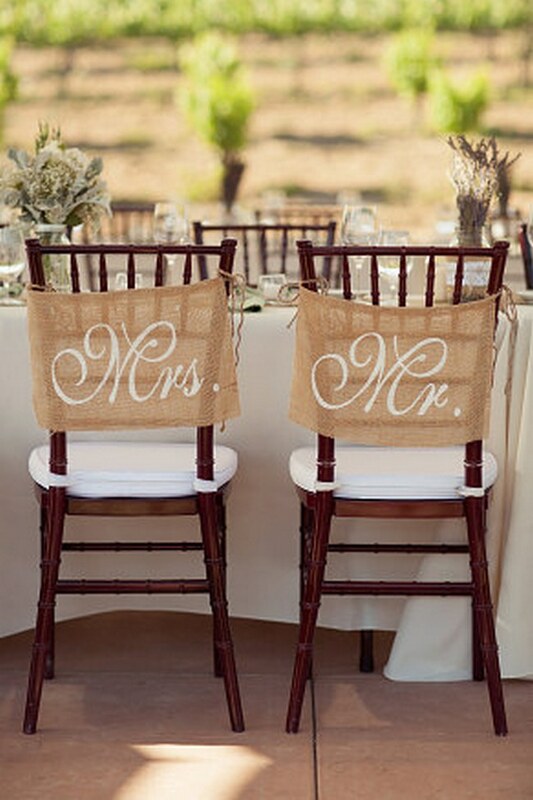 (Left) Hang these adorable MR & MRS burlap signs on the back of your sweetheart chairs. Just love the pretty script font, don’t you? Created by Butterfly Above. 9. 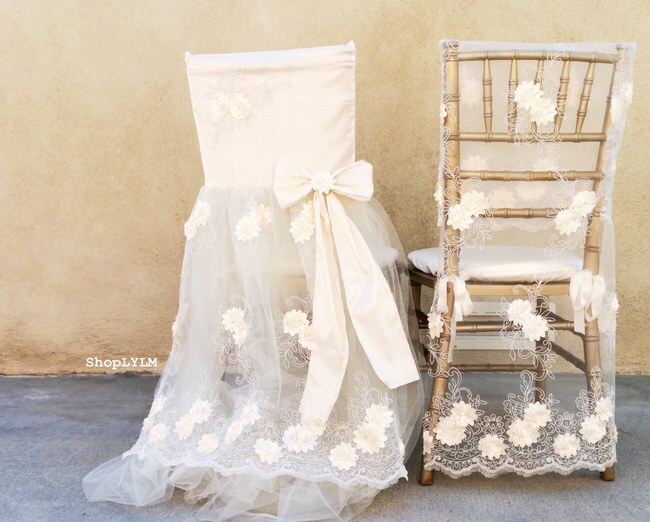 (Below) These darling Shabby Chic Ribbon Chair Covers are sweet as cake pops! 10. (below) Pretty as petal! 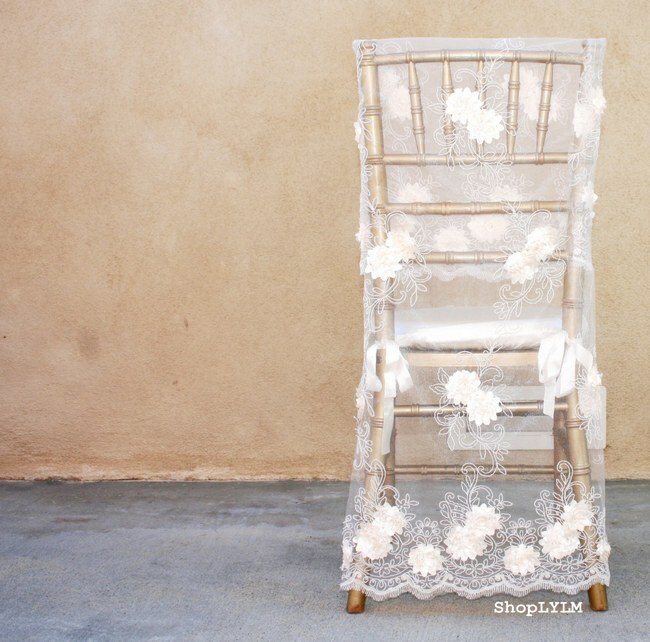 How lovely are these sheer bridal chair covers made from lacy fabric adorned with gorgeous flowers? Get them from Lucky You Lucky Me here. So many sweet ideas! I especially love the ampersand connecting the chairs. Yeah Jasmine, definiely one of my faves too! Loving those lacy ones at the end!